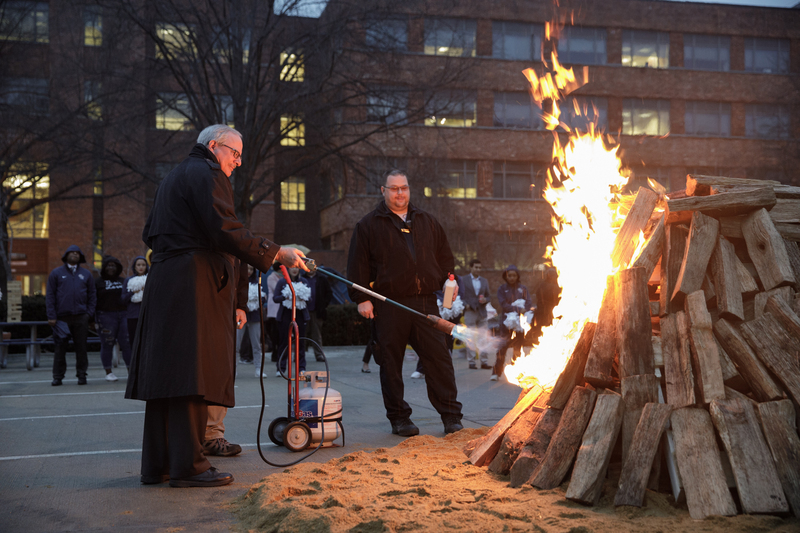 The GW community commenced celebration of the university’s founding and the legacy of its namesake with annual bonfire, food and games. 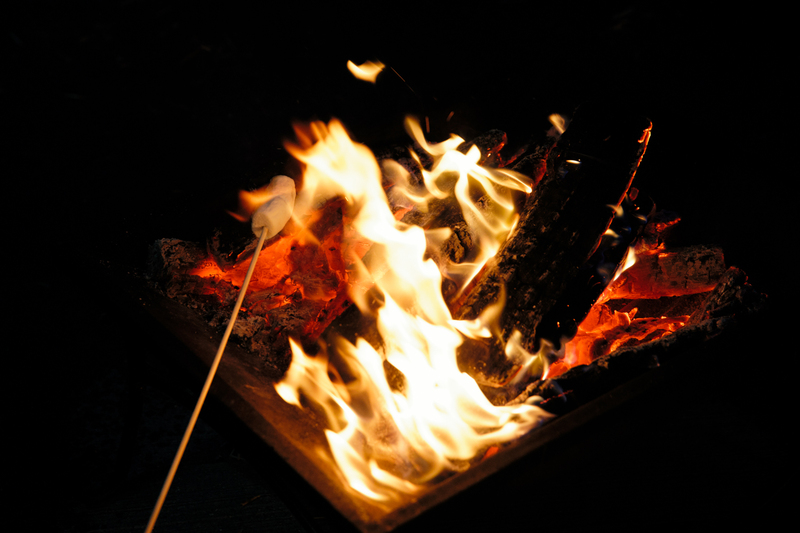 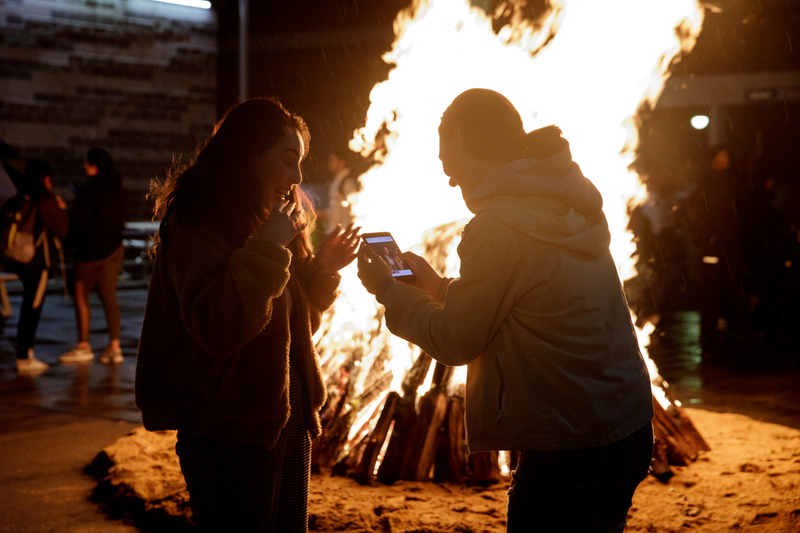 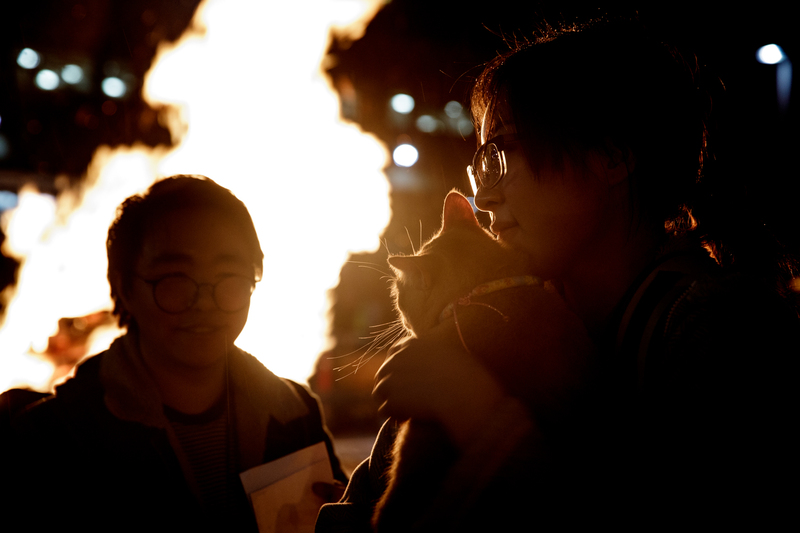 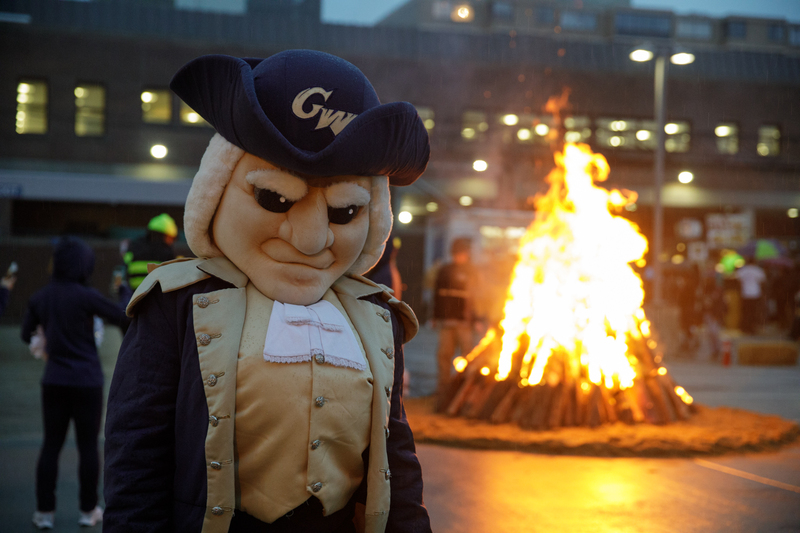 The annual Celebrate GW Bonfire kicked off a series of celebrations for the university’s founding and President George Washington’s upcoming birthday. 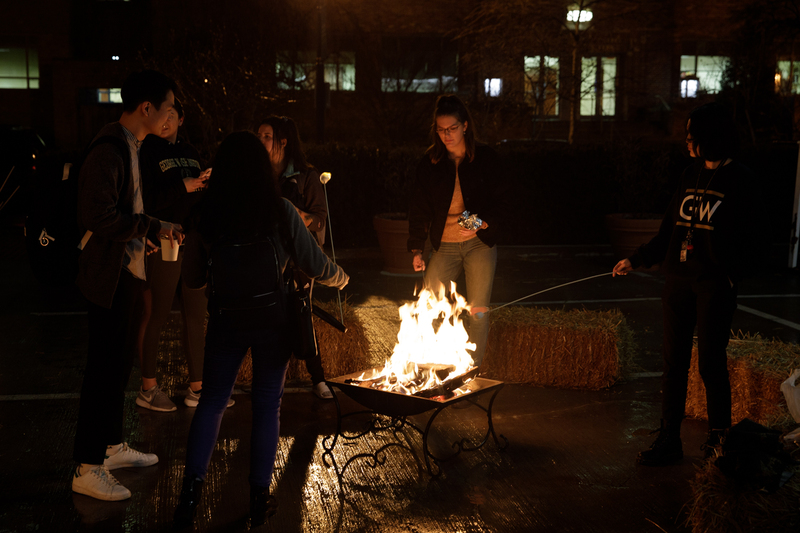 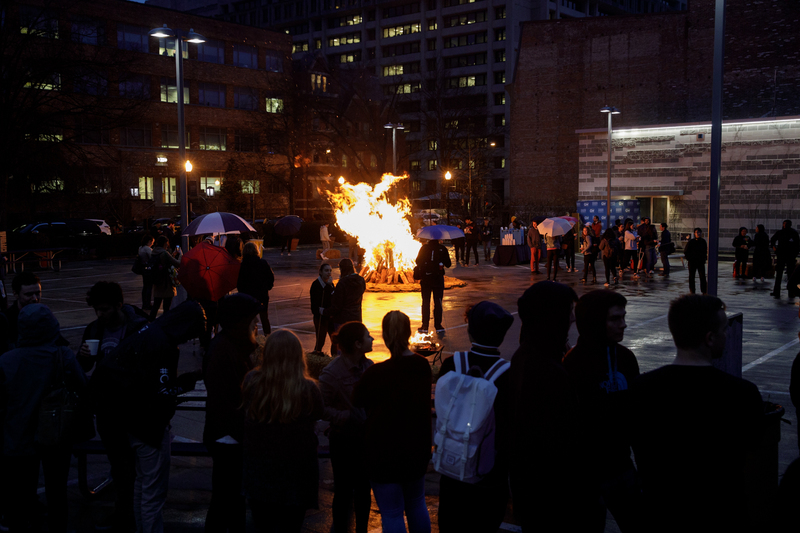 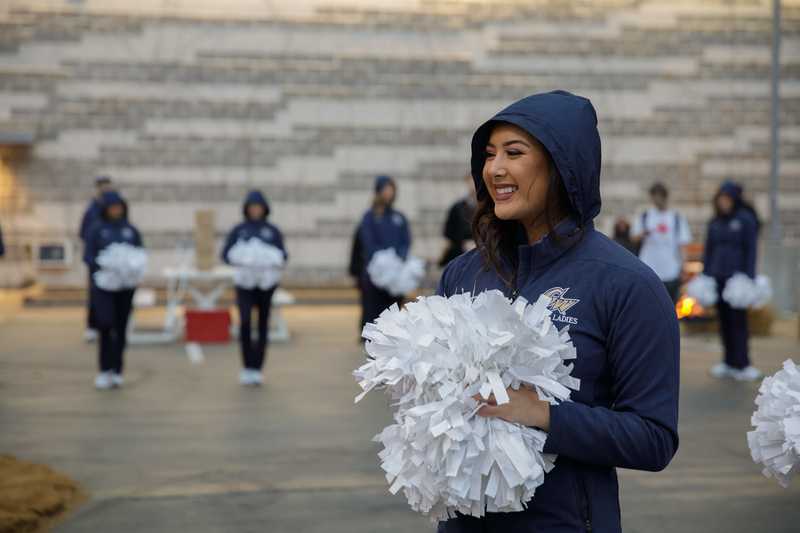 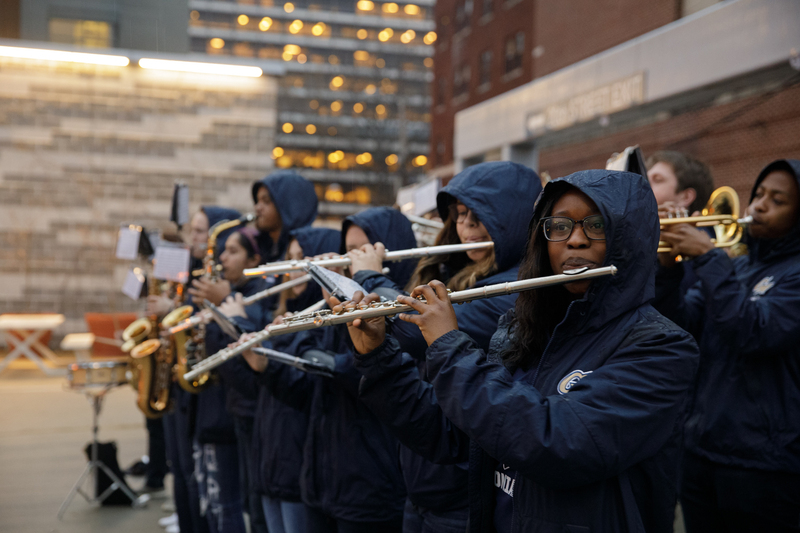 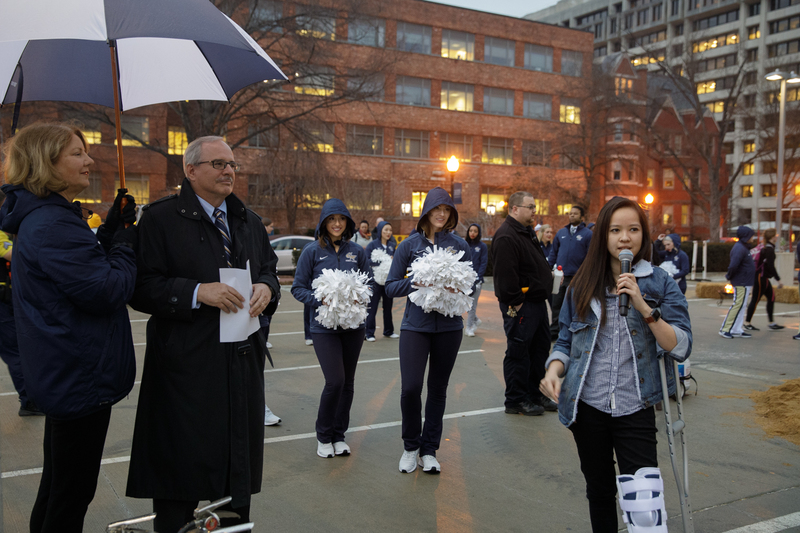 The George Washington University community warmed up with a bonfire in Potomac Square Wednesday before the men’s basketball game against Virginia Commonwealth University. 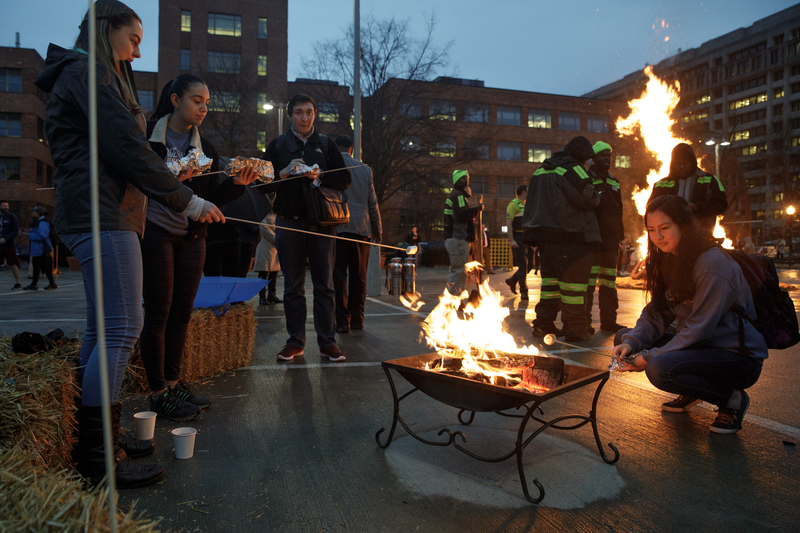 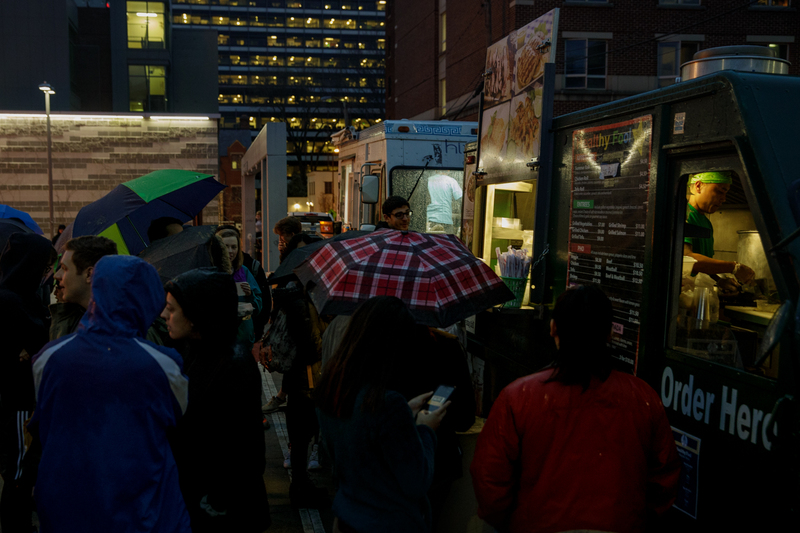 Attendees enjoyed smores, hot cider, food trucks, music, games and remarks from President Thomas LeBlanc.